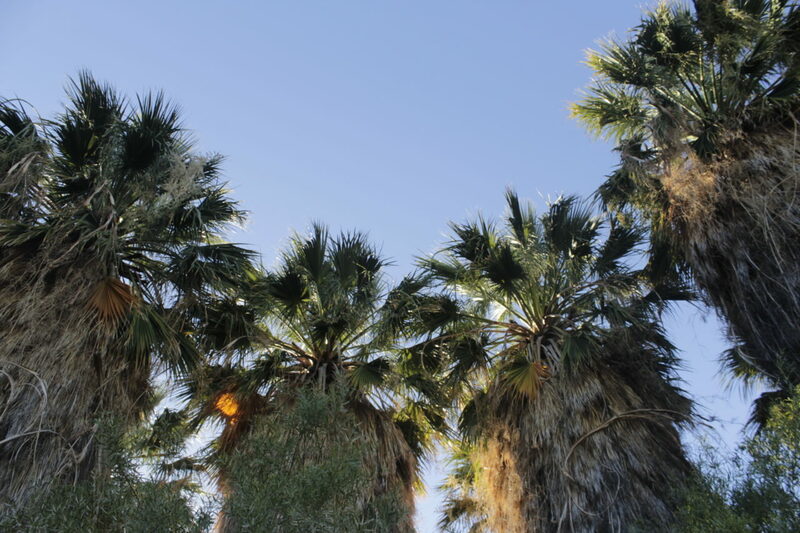 Neuras is a 14,500-hectare oasis in the desert and boasts natural fresh water fountains and lush palm trees. 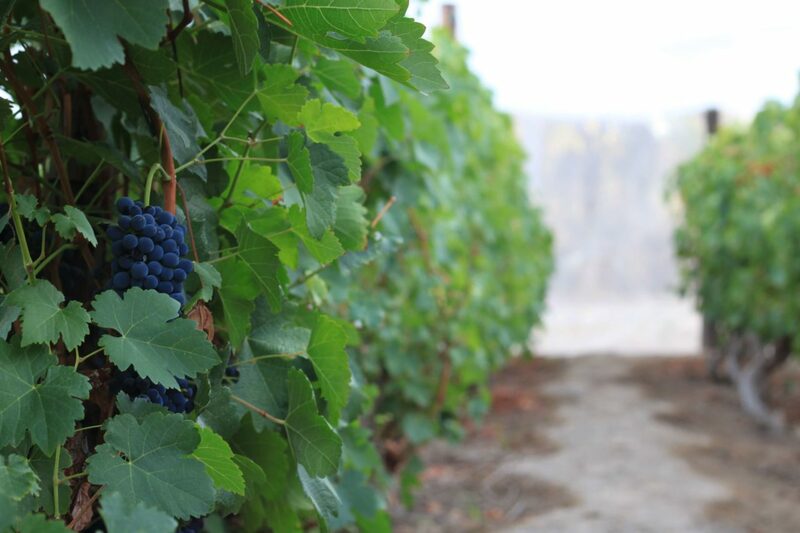 It is here that we produce our spectacular Neuras wines in one of the driest vineyards in the world. 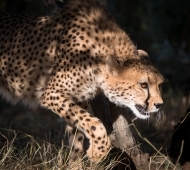 We welcome volunteers as well as day visitors and overnight guests, and offer activities such as wine tasting, cheetah feeding, hiking and wildlife tracking. 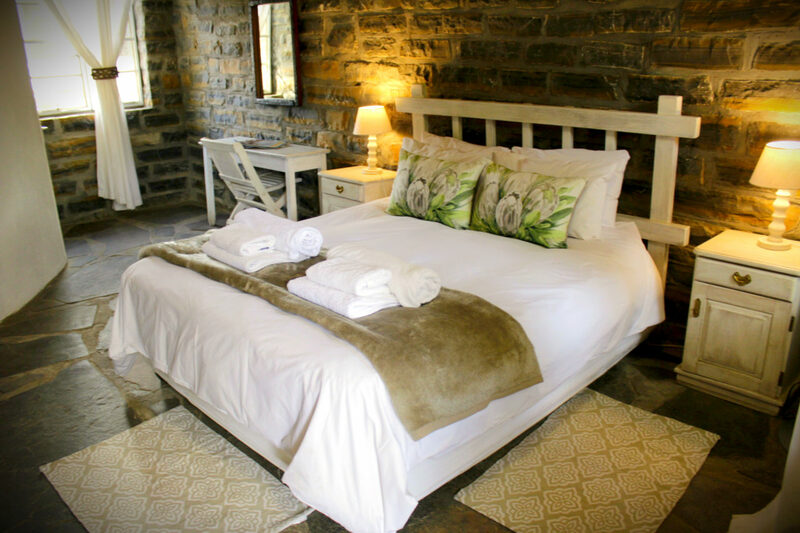 At Neuras we offer economy accommodation in stone built en-suite chalets. There is a swimming pool for cool dips after a hot day in the desert and visitors can also enjoy sundowners in our stone-built bar and restaurant. Furthermore, guests can enjoy short walks along the dry river bed or to the springs. 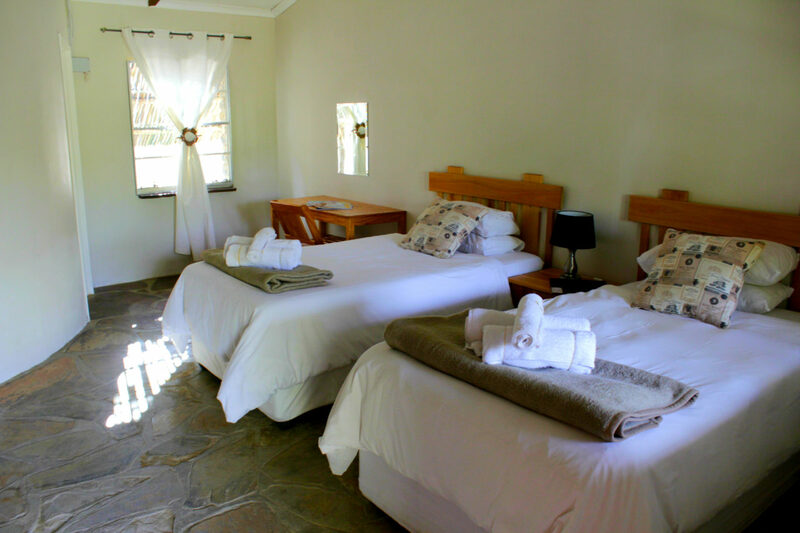 We offer a dinner, bed and breakfast option, and provide delicious home cooked Namibian meals. Alternatively, guests are welcome to cater for themselves using our guest braai set. 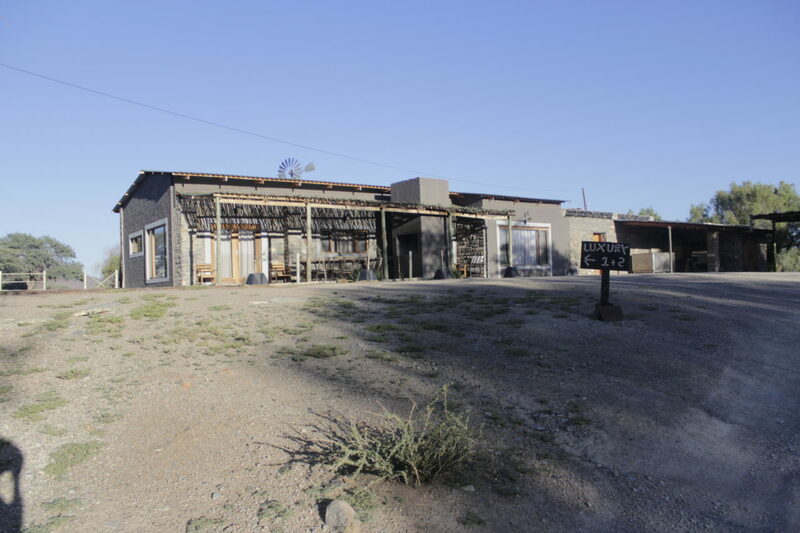 The economy accommodation at Neuras provides guests with a comfortable and environmentally friendly way to enjoy the desert. However, guests can also stop by to try our wines on their way to and from Sesriem, roughly 80km away. Neuras is ideal for wildlife enthusiasts, geologists, hikers and wine connoisseurs. The lodge and surrounding area is a haven for those looking to get away from it all and absorb the stunning landscapes and natural surroundings. 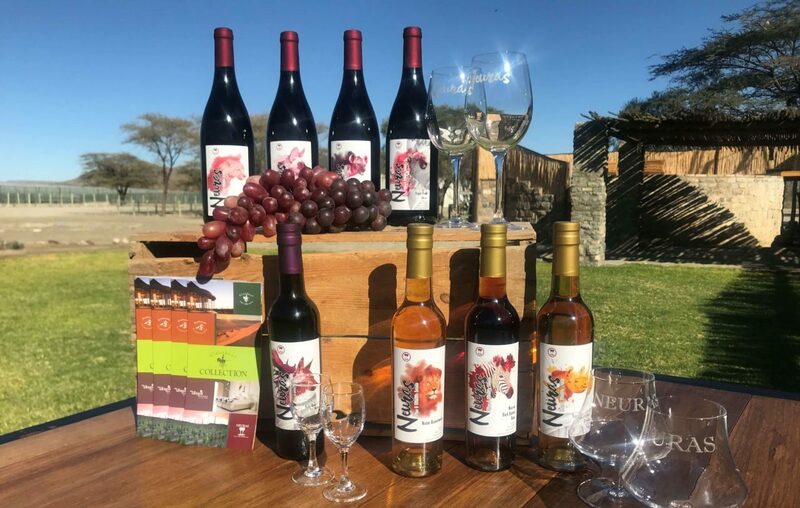 Both day visitors and overnight guests can enjoy our varied activities which include wine tasting, vineyard tours, as well as wildlife tours, among others. 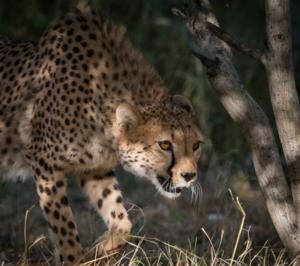 Neuras is also home to seven beautiful cheetahs who were rescued from human-carnivore conflict situations, and who sadly cannot be released into the wild due to human habituation. These big cats live in an enormous 50-hectare enclosure on the Neuras reserve and enjoy the wildest life possible. 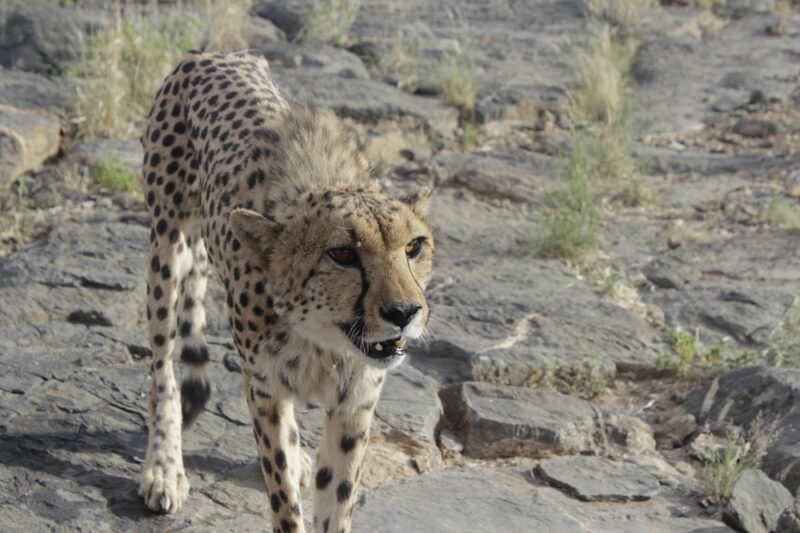 Therefore, we provide guests the opportunity to experience a cheetah feed. Normally takes place during the afternoons but we can be flexible, especially if you book in advance. The price is N$ 350 per person, N$ 265 per person for groups of 10 people or more. We offer a full wine tour and tasting which takes you through the vineyard, cellar and fountains and it includes the tasting with a cheese platter. This costs N$315 per person, N$235 for groups of 10 people or more. As a volunteer at Neuras you will actively participate in our conservation efforts. This includes getting involved in our efforts to restore the land to its original beauty, track wild carnivores and research free-roaming wildlife. Furthermore, at the right time of the year you can even help out in our vineyard (and enjoy a glass or two of course!). 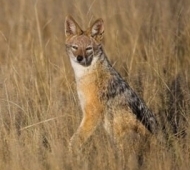 Neuras research and conservation projects include our human-carnivore conflict research project and spotted hyena research project. Neuras is set among stunning scenery including ancient canyons, caves and natural fountains. Furthermore, it is home to one of N/a’an ku sê’s carnivore research programmes. 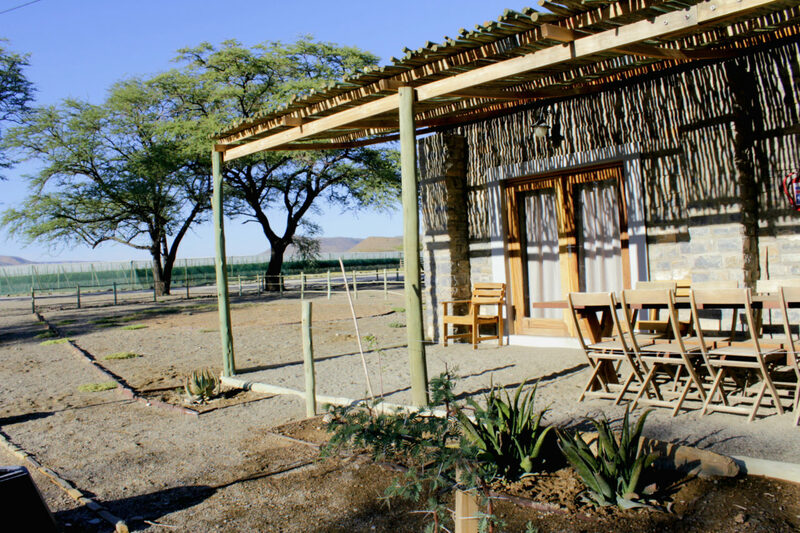 It is also here that you will find one of only three wineries in Namibia. Direction South on B1 towards Rehoboth 89km. After 3km turn Right onto C24. Travel for 115km on the C24. Drive over the Rietoog river. travel 28km until you reach the C14. Turn left onto the C14 and travel 1 km. Turn right onto the D854. Travel 38km along the Naukluft Mountains. Turn left onto the D850 and travel for 7km. You will see the Neuras signage board. 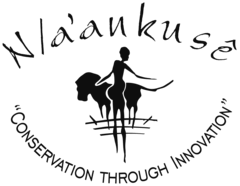 Current Neuras research and conservation projects include our human-carnivore conflict research project and spotted hyena research project. Other activities that may arise during your stay. 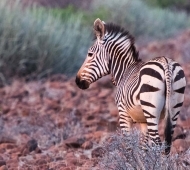 Carnivore Human Conflict is the clash between Namibia’s carnivores and landowners and is actively mitigated by Naankuse. 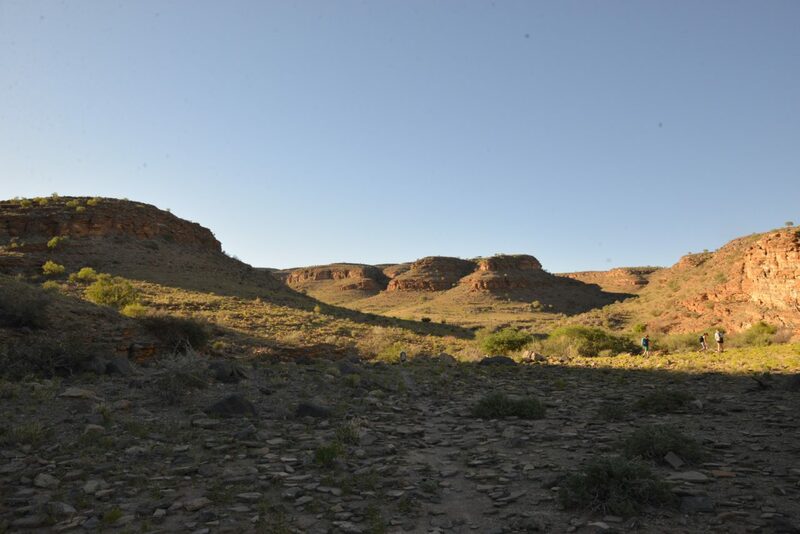 Monitoring spotted hyena populations at Kanaan and Neuras to study and understand the human-wildlife conflict in Southern Namibia. Naankuse © 2018 / All rights reserved. That’s easy just click on the button below! The animals at the santuary need constant care and medical attention. Throughout their stay here they need food and shelter – us to continue providing homes to vulnerable animals. N/a’an ku sê provides an important source of employment, accommodation, education and healthcare to many Bushmen families. 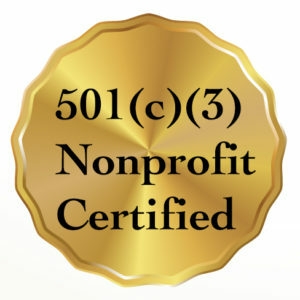 The Clever Cubs school depends on donations to keeo providing access to quality education and a better, brighter future. Our clinic is run by our volunteer doctors, nurses and San translators and is funded entirely thruogh voluntary donations, It sees over 3,500 patiens a year for free. Our research desperately need materiels such as camera traps, wildlife collars, batteries and tyres.